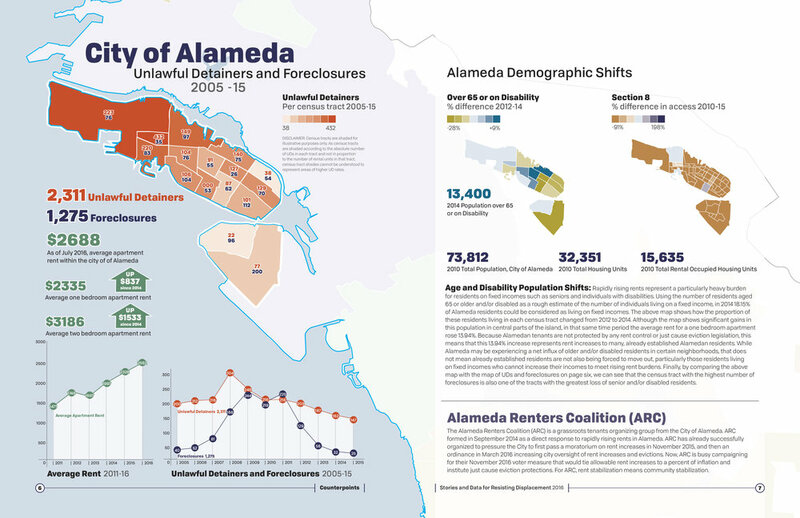 Counterpoints is a community-driven report detailing over ten years of previously unpublished housing data from Alameda County. I worked collaboratively as a graphic designer with the Anti Eviction Mapping Project (AEMP) on a team of over 30 artists, academics, cartographers and community organizers. Together, we created a final project consisting of an interactive online collection of eviction maps and demographic data, a series of video interviews created in partnership with several East Bay organizations, and a 20-page booklet comprised of data visualization, infographics, personal stories and policy analysis. 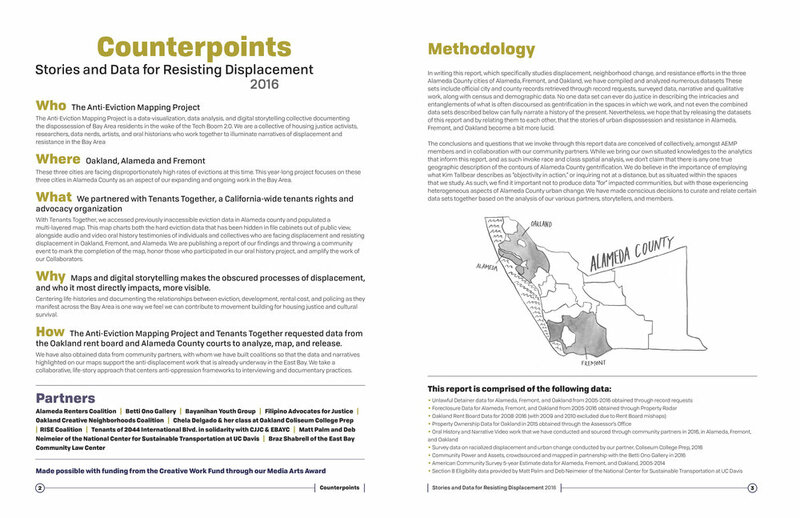 A year after the project began, AEMP released Counterpoints during a community event at the East Side Arts Alliance in September 2016; it is available online at www.antievictionmap.com.